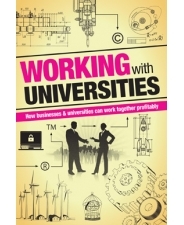 Simon Bond, centre director of SETsquared Bath, has authored a chapter on developing networks which help support the interaction between Universities and business in the recent publication ‘Working With Universities’ of Crimson Publishing. Simon Bond is head of Bath Ventures and the founder of Silicon South West Network along with many more successful networks. To read the chapter, view here.